Specifically, they're estimating that commercial use won't hit until 2014. It seems like OLED television has been "right around the corner" for years now. Pretty much every TV maker with an interest in the technology says that we'll be seeing OLED sets on store shelves soon. AUO is at least a tad bit more realistic. 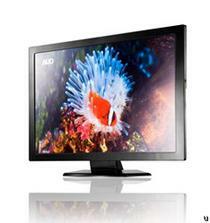 The company is expecting that OLED televisions will finally be feasible for commercial use in 2014. Keep in mind of course, that saying something is ready for commercial use is a far cry from saying that it's ready for the general public. It's the usual line of reasoning for the OLED issues - high prices, low production and limited interest in the tech. Of course, get those prices down and that interest will start to rise astronomically.